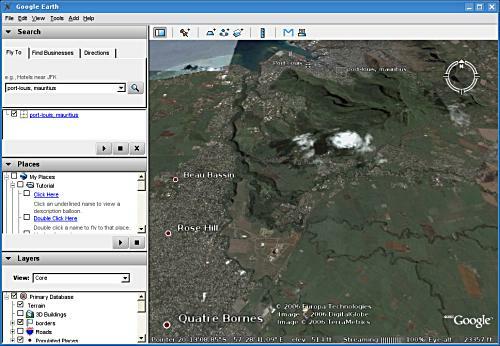 Google Earth 4.0 has just been released for Linux. If you don’t already know, Google Earth is a fantastic desktop application which allows you to view the whole world using very high-resolution satellite images. Google Earth works very well in my AMD64 Kubuntu 6.06 Dapper Drake Linux even though it is a 32-bits applications which relies on a bunch of 32-bits libraries. Google Earth is fantastic! Try it (don’t forget to read the docs) and you won’t be disappointed. Ruby is the interpreted scripting language for quick and easy object-oriented programming. It has many features to process text files and to do system management tasks (as in Perl). It is simple, straight-forward, extensible, and portable. Oh, I need to mention, it’s totally free, which means not only free of charge, but also freedom to use, copy, modify, and distribute it. Ruby is interpreted (as opposed to compiled). A consequence is that Ruby has a very powerful runtime environment which allows for metaprogramming which is a very advanced (read powerful) programming technique. Ruby is a scripting language meaning that it is at the same time a general purpose programming language (like C++ and Java) and a language which can automate tasks in an operating system (scripts) and in applications (macros). Learn it once and apply it everywhere! Ruby allows quick and easy object-oriented programming. Ruby is a pure object-oriented language : everything is a object to which messages are sent (exactly like Smalltalk). Additionally, Ruby has blocks which simply allows Ruby to be used as a (very powerful) multi-paradigm programming language. Ruby is simple [and] straight-forward compared to Java and C++ therefore it allows the (human) programmer to produce bug-free programs quickly and (more or less) effortlessly. Ruby is extensible and portable which means that (i) the limit is your imagination (and not the imagination of Yukihiro Matsumoto, Ruby’s (very intelligent) creator) and (ii) your programs will run on a lot of different operating systems. Ruby is totally free, which means not only free of charge, but also freedom to use, copy, modify, and distribute it. In other words, Ruby is opensource software. The second edition covers Ruby 1.8 and can be bought directly from the author’s website or Amazon.com. I’ve just bought the second edition and I’m reading it right now. Of course, there are a lot of tutorials online. I recommend Why’s (Poignant) Guide to Ruby. It’s a beautiful language. I’ve always been a fan of Smalltalk and I find Ruby’s syntax very pretty. It’s an object-oriented language and I tend to think in terms of objects, attributes and methods on Mondays, Wednesdays and Fridays. It’s a functional language and I tend to think in terms of higher-order functions and recursion on Tuesdays, Thursdays and Saturdays. 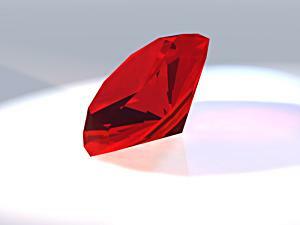 In my opinion, Ruby is the perfect programming language to teach programming at college and university level. Ruby’s syntax is clean. Ruby is powerful, modern and portable. In addition to that, I think Ruby stimulates creativity much more than mainstream pramming languages. Ruby comes with a read-eval-print interpreter called irb which is very powerful. And there are at least two good IDE that I know of, one based on Eclipse called RDT and Eric3. Ruby on Rails is a full-stack framework for developing database-backed web applications. It is gaining enormous acceptance thanks partly to Ruby’s elegance. In fact, I am currently developing my first RoR application right now. I’ll keep you posted.